EXCLUSIVE! 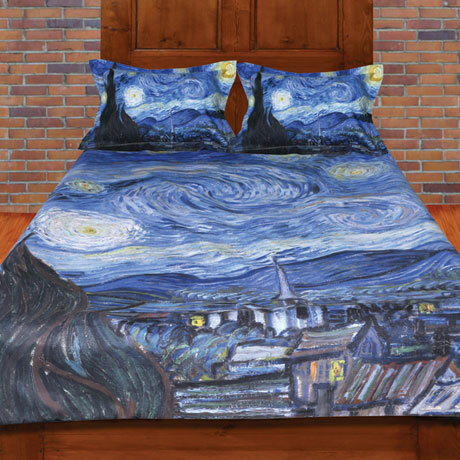 Complete your "Starry Night" Set with this Van Gogh Sham and Duvet cover. 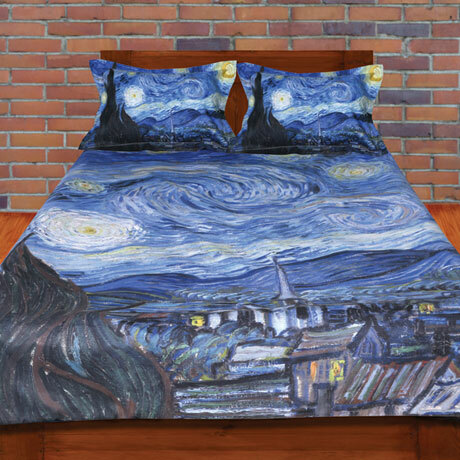 They're a perfect way to cast the famed painting's mystical ambience on your bedroom. Get them both and make your bed a true classic. Cover measures 90" x 90". (Full/Queen) Shams measure 30" x 20". 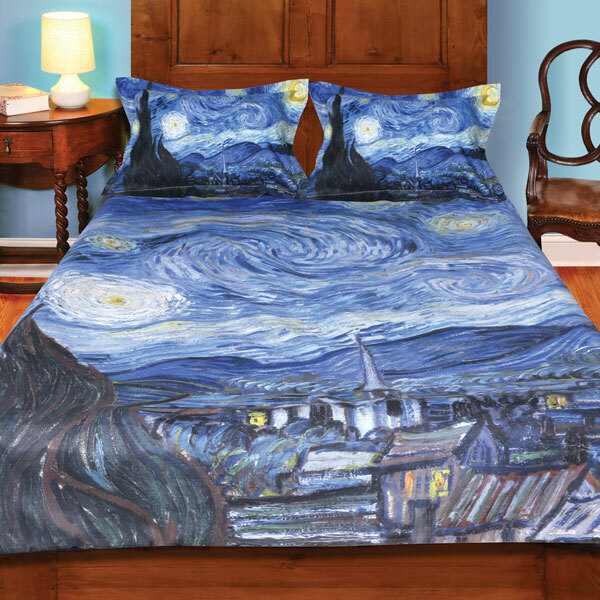 Spun polyester.